Desire to Decorate: Free Artwork for Kids...courtesy of OMHG. If you look at 'my favorite etsy finds' you'll notice I have a thing for children's art & things, usually boy themed because I have two boys, so imagine my delight when I found this site. Oh my handmade goodness. 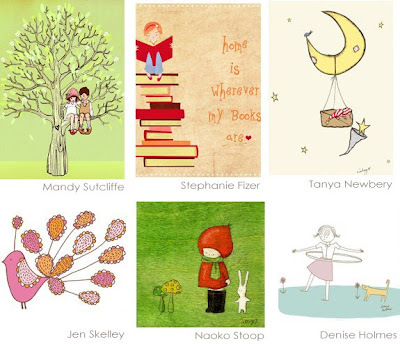 Such a cute little site dedicated to sharing... and here they're sharing free downloads; we have a party invitation, a greeting card and my favorite - artwork for kids! Love it and hope you love it too... enjoy! Here's the one I'll be printing out. It's an 8 x 10 print, available in blue and pink... and, of course, I'll take it in blue... although I love this orange!